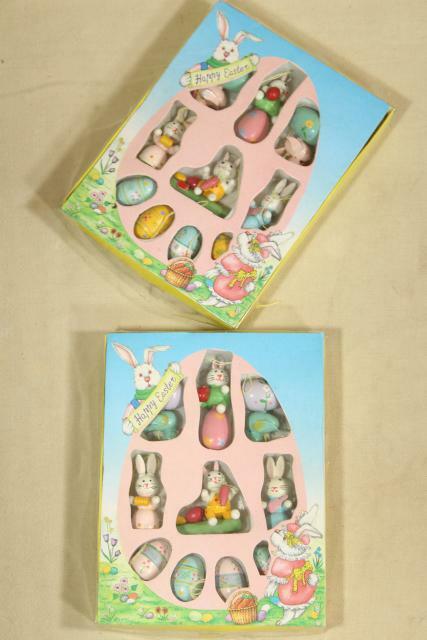 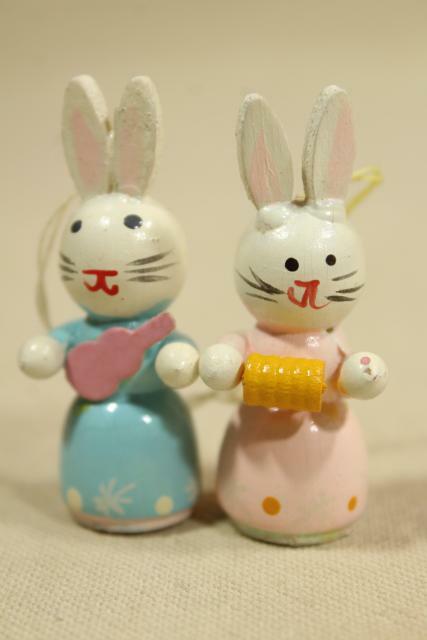 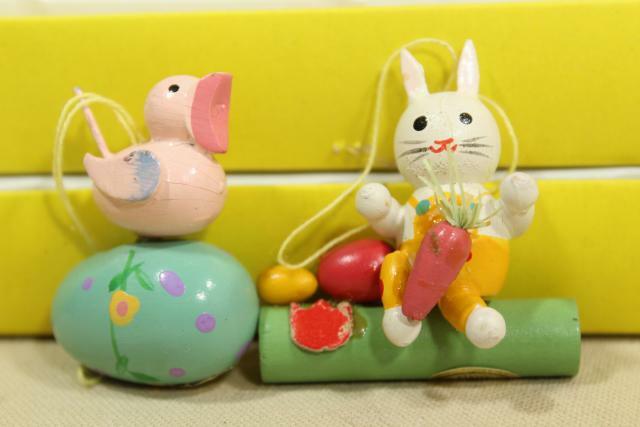 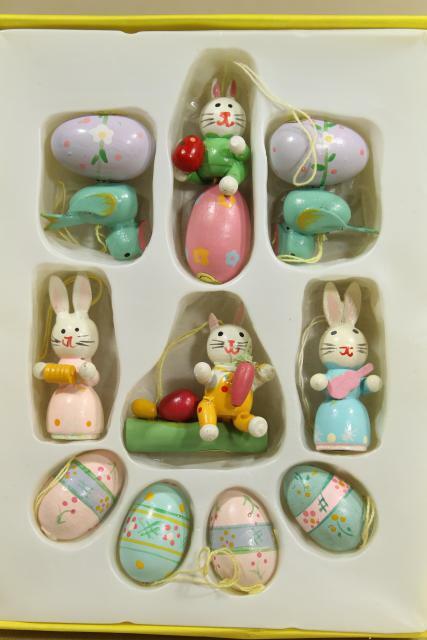 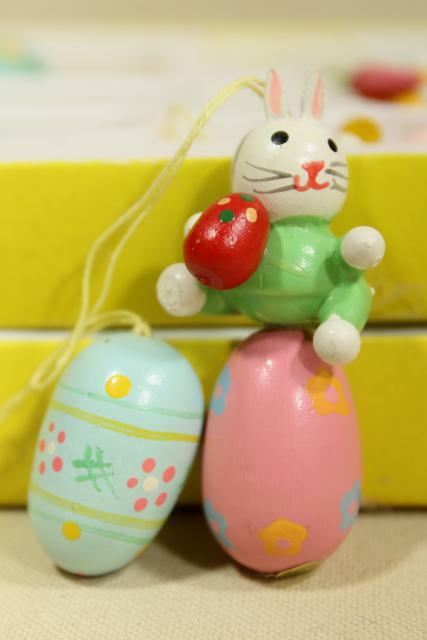 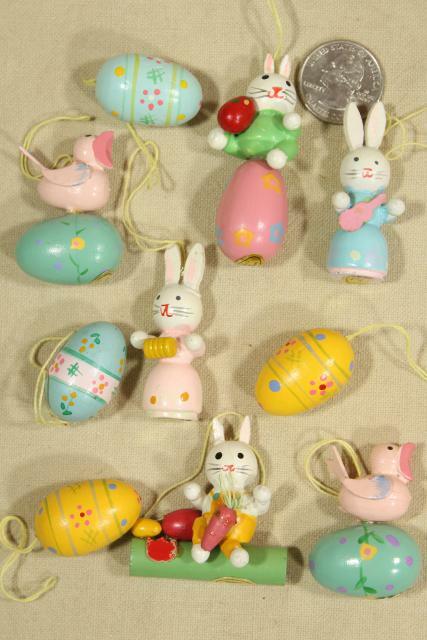 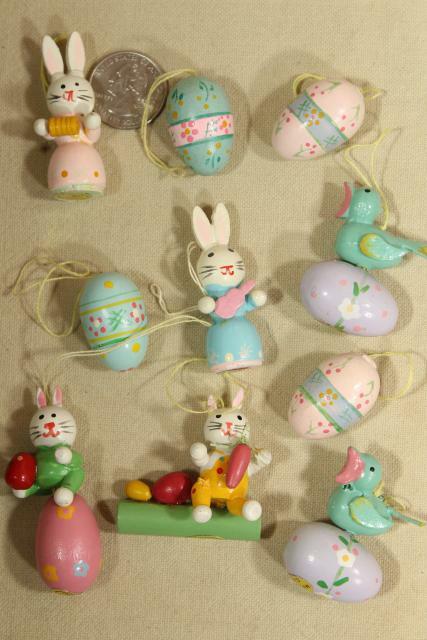 90s vintage 'Easter tree' ornaments, hand painted little wood eggs and animals, birds and bunnies. 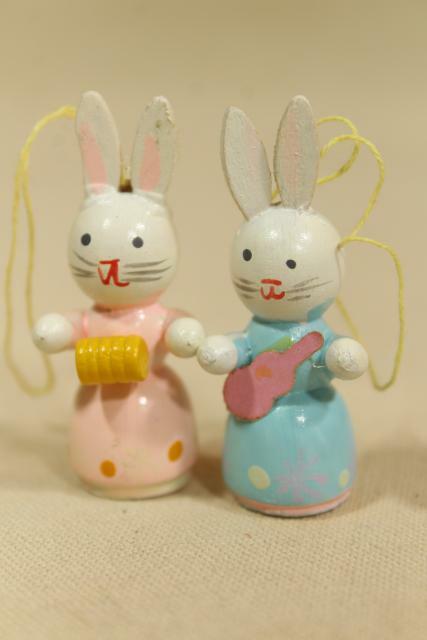 Size ranges from about 1" to 2 1/2" tall. 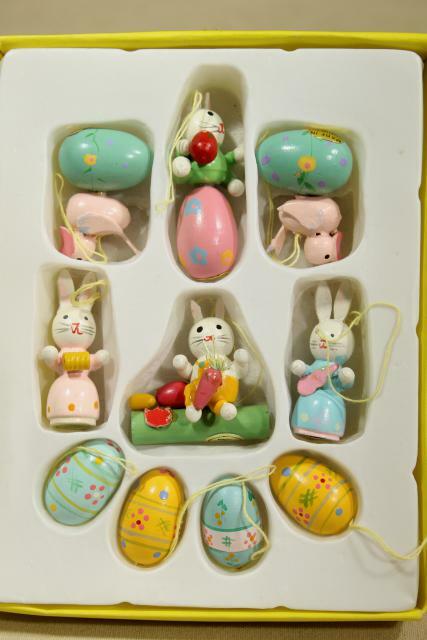 These are unused in the original boxes from Marshall Field's, made in China. 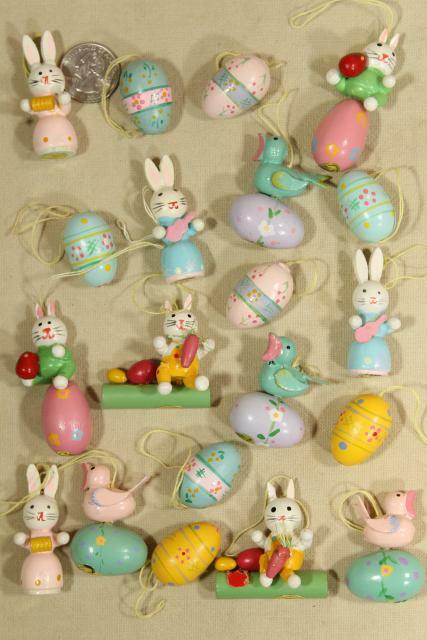 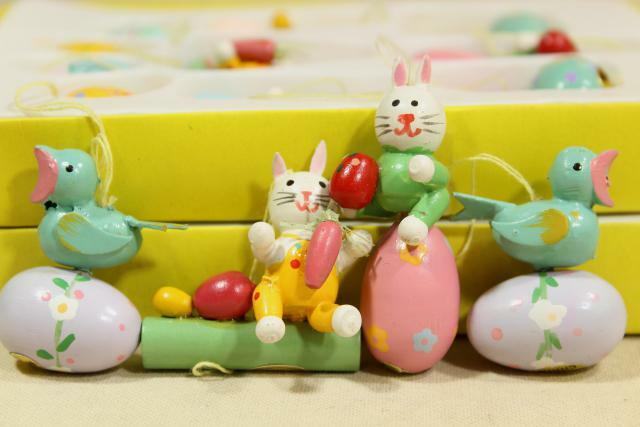 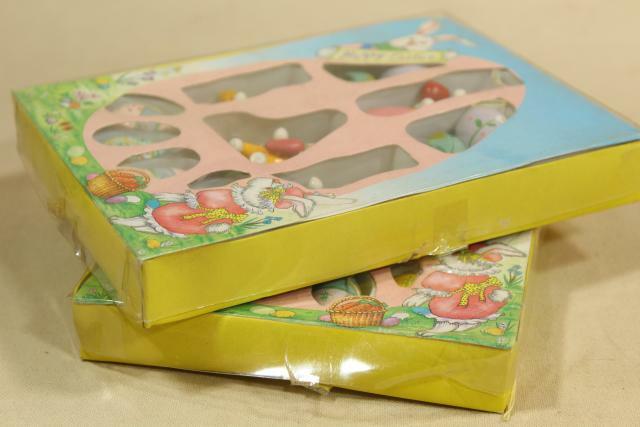 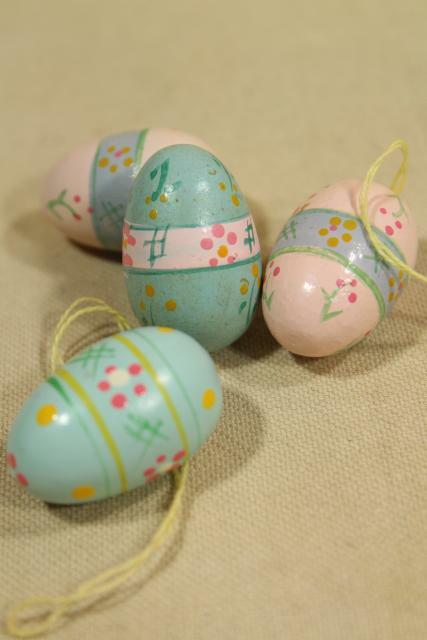 They'd look great as Easter basket tie-ons, or on a ribbon garland!